We are glad that you approached with this good query and you can sit assured that you are at the right platform and will get good guidance. Bachelor in Computer Applications(BCA) is a very good course and considering the growth of Info. Tech sector year on year, computer application specialists will be in demand and will keep getting good jobs and salary packages. Hope you know that BCA is a graduation course and is actually a strong foundation building course in computer applications. Just on the basis of BCA you can get jobs but they won’t be of good salary package or job profiles. I am happy that you are thinking of doing something more after BCA. The best course available for a BCA student is MCA. 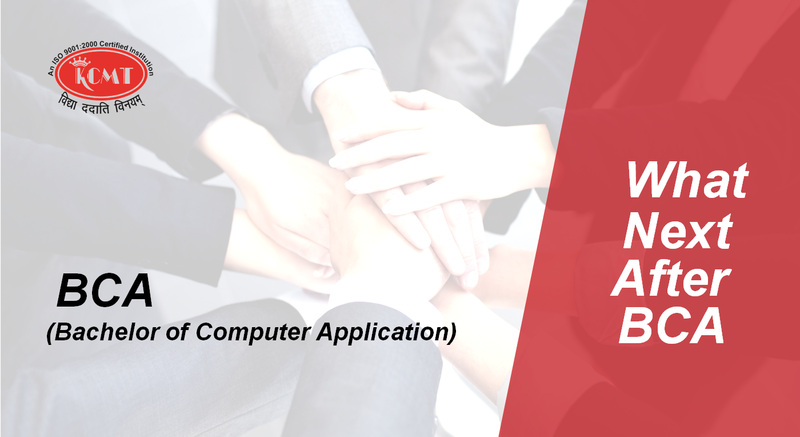 Master in Computer Applications(MCA) is an excellent course and large companies are taking MCA qualified candidates in thousands. MCA is a qualification which is a master level degree and makes you a specialist in computer applications. With growing research and technological opportunities in applications, MCAs are in high demand and are getting very good salaries in companies like Infosys, Cisco, HCL, TCS, etc. Apart from these large companies there are hundreds of medium sized companies which are also giving good salaries at par with the large corporate groups. Also alongside MCA or after MCA you can do courses like CCNA Certification, SAP certifications, which will add tremendous value to your resume and also enhance your knowledge in information technology. Also remember that scoring good percentage in BCA and MCA is very important since good marks will help you get selected faster. If you are not interested in MCA after BCA, you can do MBA Systems or Information Technology from a reputed Institute. BCA and MBA as a combination of qualification is also very good and will help you get jobs in Info. Tech companies in departments like Systems, Maintenance, Testing, etc. With an MBA you can also aim to become Project Manager. After MCA, one may take up Government Job, Private Sector Job or Teaching Job! PhD program is available after completing MCA course. After PhD, one may go for a career in the R&D sector associated with this field! Graduates may also become self employed, by becoming freelance or independent software developers.For graduates, job opportunities exists in Government as well as Private sector. Also, self employment options are available. After BCA, which is an Undergraduate course, graduates may take up Government jobs that require a Graduation Degree (for example- Armed Forces, Nationalized Banks, PSUs etc).When it comes to Private sector, Software MNCs are the prime recruiters. KCMT is India's Leading Educational Brand that offers Bachelor of Computer Application and Masters of computer Application to the student and assures the quality education along with the employment opportunities in corporate to deserving candidates.